My daughter has been telling me how she wished she knew how to cook like me and that’s exciting for me to hear but it also makes me realize that I didn’t give her a chance to cook in the kitchen enough and that makes me sad. 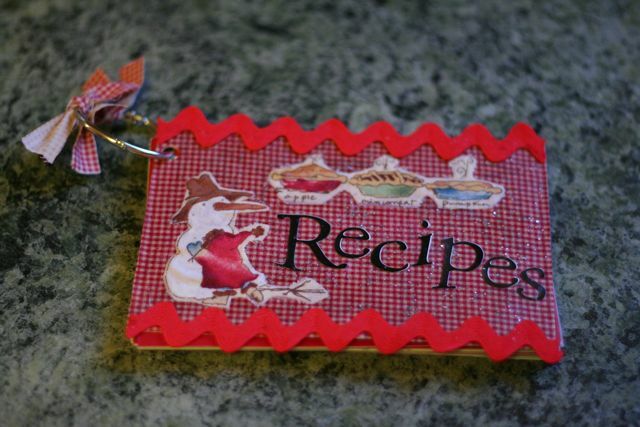 Well good things come from realizations and that’s where this Recipe Book came from. I figured I needed to help her get her cooking groove on, so I put this together for her. This was very simple and remember it doesn’t have to be Christmas themed. 1. 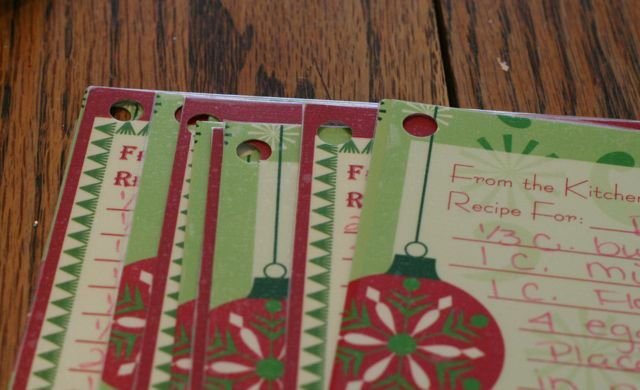 Trace the recipe card onto the cardboard box and cut out. 2. 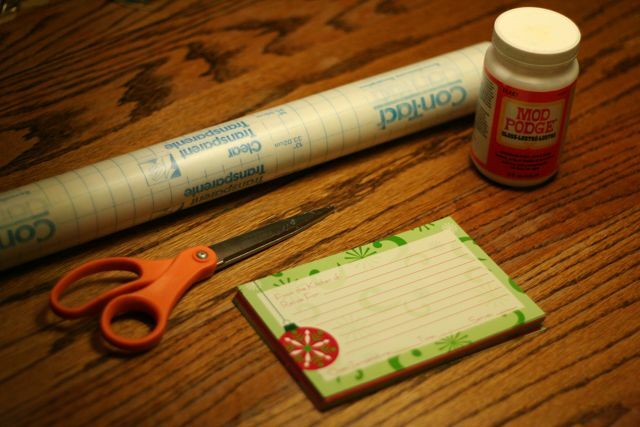 Put Mod Podge all over the cardboard cut out and put the fabric over it and then cover the fabric with more Mod Podge. 3. 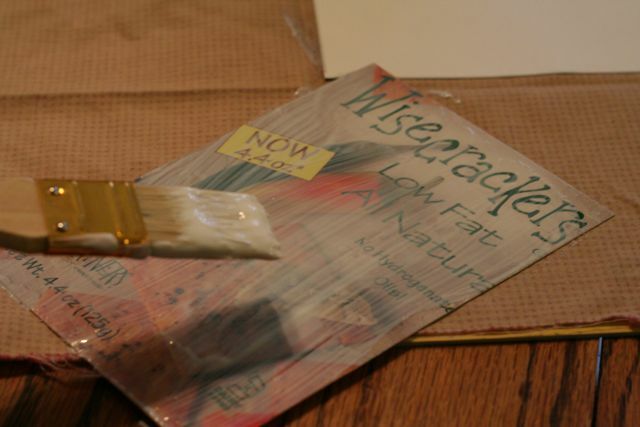 Decorate with whatever you want using Mod Podge. 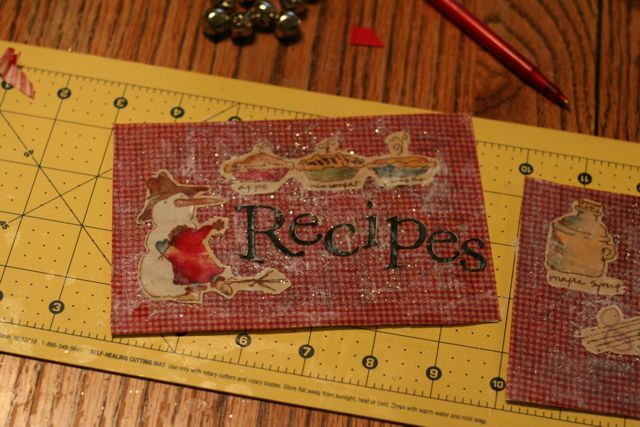 I added some glitter and letters to spell Recipes. 4. 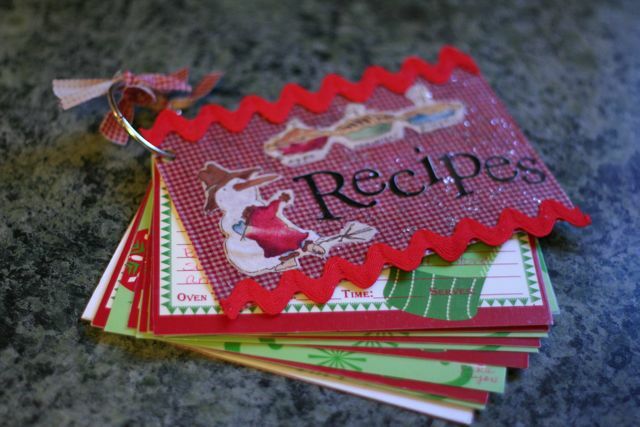 After you fill out your recipe cards with your favorite recipes, cover them with contact paper and punch holes in the corner. 5. Take a few scraps or fabric or ribbon and tie onto the ring. I still have not figured out if it will stay this way. 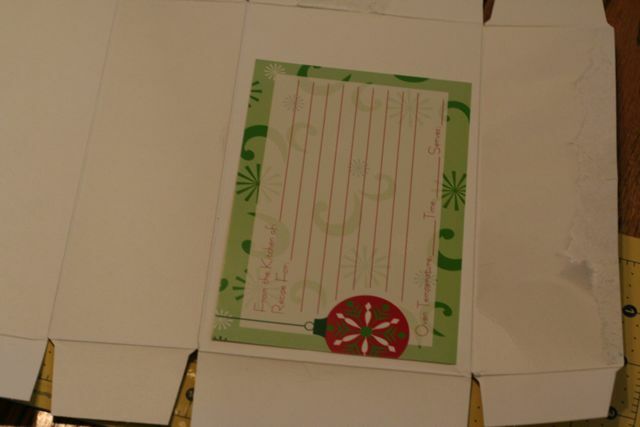 This entry was posted in Christmas, DIY, Holiday, tutorial on November 11, 2010 by Deanna. I don’t want your 12 days of Christmas to end! You have such great ideas, thanks for sharing them with the rest of us! LOVE this idea! I need to look for modge podge in S.A.. I know they see it there. Heidi – Thanks so much! Angie – I have no idea if they have Mod Podge in South Africa but it would be worth looking for, so many easy projects to make with it.